Now available - the Triton Three tower - smaller version of the stunning, rave reviewed Triton Two which launched Golden Ear spectacularly onto the audio scene. The TritonThree uses the same core driver technology, including the innovative HVFR tweeter. The built in subwoofers are powered by 800 watt digital amplifiers. 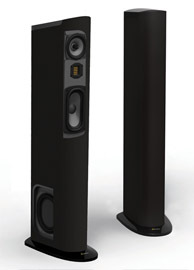 This is a speaker that must be heard by anyone considering a purchase in the $2000 per pair price range. 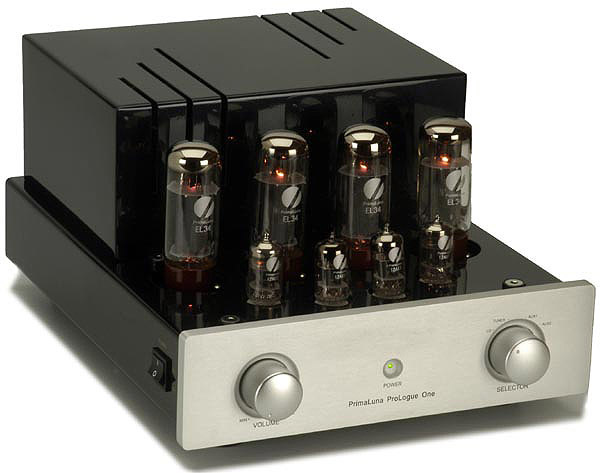 With the resurgence in interest in vinyl records and turntables comes a need for higher performance phono preamplifiers. 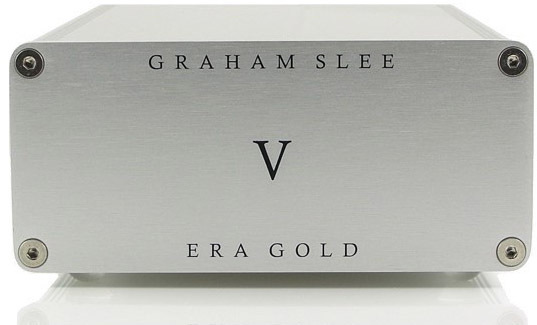 Graham Slee makes some of the best sounding units available, and most models are now in stock, available for audition. Note specially the Era Gold V, high resolution performance for $699. If you have a good turntable setup and are ready to take your vinyl listening to the next level, be sure to hear this. Rega has been on a roll this past while - over the past couple of years they have been working on a major revision of their entire their turntable range. 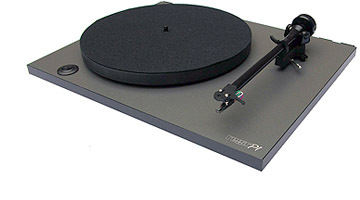 First up - the RP-1, with its non resonant platter and refined arm design, raised the performance standard for entry level audiophile turntables; now the brand new RP-8, with it innovative low mass/ high rigidity design takes Rega into new territory. 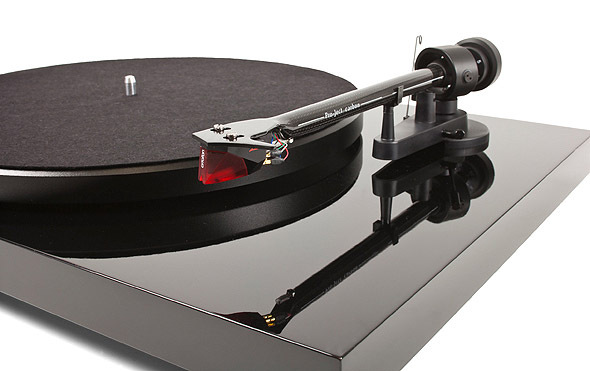 Filling out the range, the latest version of the classic Rega turntable, the RP-3, introduces the new bracing technology for improved resolution, while the RP-6 builds on that with refinements in the platter and power supply and a range of gloss finishes. 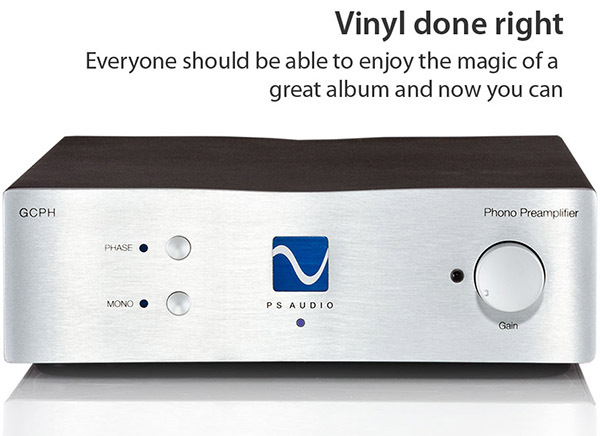 All in all, a winning line up from a company known for innovation and value in vinyl replay. In recent years PS Audio has been noted for their power conditioning and distribution products. While this continues to be an area of strength, their roots go back to amplifier design. The GCPH is a premium quality phono preamplifer - PS Audio has always believed in the importance of power supplies in audio, and this piece is built more like a full integrated amplifer than a typical phono preamp. Not a new product introduction, but certainly timely for the current interest in vinyl. UK based Naim has always focused on the highest level of performance possible, with a minimalist approach to features. Their NAIT-5i integrated amplifier is something of a cult classic, delivering powerful, rhythmic, engaging sound from a small, well built, but unadorned chassis. At first blush its $1795 price and 50 watt power rating seem out of line, but then listen.....this is a taste of true high end sound, delivered in an entry level product to one of audio?s finest brands. Attractive placement for a audio or video system complements both the room and the system components. 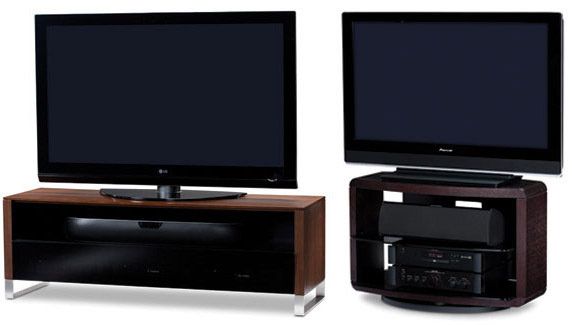 BDI makes premium quality AV furniture in a wide range of styles and finishes. Models are available for audio and video systems, and come in both open style and enclosed designs. 2010 is Denon’s 100th anniversary. The new line for 2010 features a range of 3D ready receivers and BluRay players. I have several models of the receivers on hand from the new xx11 series, offering the latest features. Prices reflect the high value of the Canadian dollar and are very competitive with US pricing, while offering the advantages of local support and full Canadian warranties. Denon has also produced a special series of components for their 100th year - premium quality pieces designed with their best technology - these are available by special order. Harman/Kardon’s current receiver line also features 3D ready models. Good news for those who purchased the AVR2600 or AVR3600 last year - the receivers themselves are unchanged, and the 3D capability can be provided with a firmware update. The Canadian dollar is helping here too - HK’s new receiver pricing is lower than last year. Reduced from last year’s price. 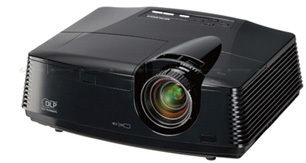 Mitsubishi has upgraded their highly reviewed home theatre optimized 1080P DLP projector. The HC 4000 improves on the already fine native contrast ratio of last year’s HC3800 by using a higher performance DC3 imaging chip. To sweeten this even more, the new model is priced $100 lower than the previous model. These companies are known for producing long lived designs which are infrequently changed, so when new items arrive they are especially significant. Arcam’s much anticipated high performance BluRay player has finally arrived! The BDP-100 joins their top of the line FMJ series, and promises to bring a new level of performance to the BluRay format, with a special emphasis on audio quality. 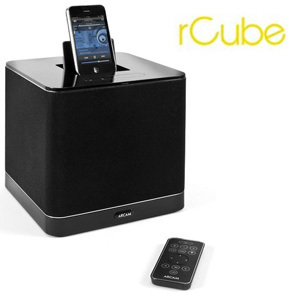 Arcam has now introduced their first iPOD docking system, the rCube. Available soon, this brings Arcam sound quality to a new category. The first reviews in the UK press have been great! 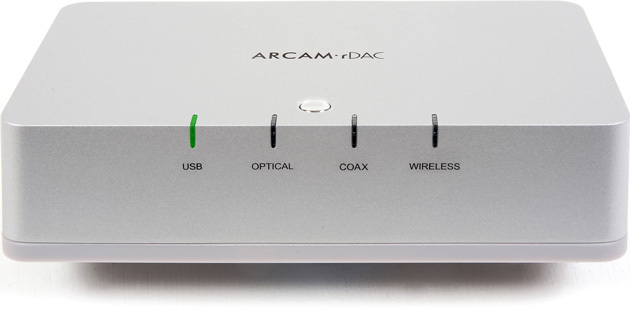 Arcam has also introduced the rDAC. This very promising piece is the lowest priced USB DAC to use an asynchronous connection, enabling audiophile quality sound from computer audio over a USB connection. It also handles digital inputs from optical and coaxial connections, and will be available with a wireless option making it a very flexible unit. Cambridge Audio has had great success with its 650BD BluRay this past year. It has delivered on its promise to raise the bar in mid-priced players, featuring audiophile sound, universal disc compatibility and fast loading in addition to Cambridge’s usual premium build quality. The companion 650R receiver is also setting high standards - with a primary emphasis on sound quality, this unit brings the Cambridge sound to the newest high definition audio formats. New for Cambridge this year is the more budget oriented Topaz series, consisting of an integrated amplifier, a CD player and an AM/FM stereo receiver. With the Azur series firmly established as a class leader for sound and build quality, Cambridge set out to bring the cost of entry level audiophile gear down a little in price without sacrificing the core quality for which they have become known. The first reviews show they have succeeded! The AM-10 amplifier even has a nice phono stage built in - great for someone building a good vinyl based system on a budget. Team this up with the new ProJect Essential turntable and a pair of Cambridge’s S-30 speakers and you have a real winner. 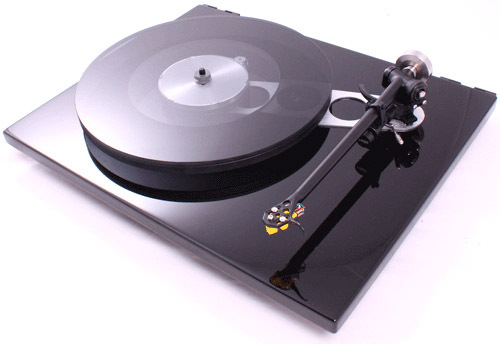 ProJect has added the incredibly high value Essential turntable to the line. At just $299 complete with an Ortofon cartridge, good vinyl replay has never been this affordable. Why settle for inferior sound when quality is this affordable? This is a significant addition to the most comprehensive range of vinyl replay components and accessories available in one location in this region. ProJect’s new Essential -just the essentials, done right. 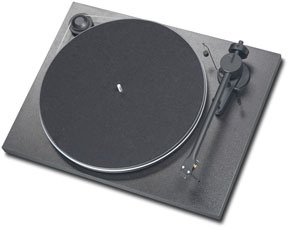 The new Rega RP-1 turntable will be available shortly. This new model builds on the remarkable success of the P1, which set the standard in affordable turntables when it was introduced a few years ago. The RP-1 is a refinement of the original design, now with a choice of colors and a new platter material, offering even better performance. Check back for more details on many of these items.